Kareena Kapoor or so popularly known as ‘Bebo’ is the queen for sure. Wonder how she gets that cool name in the industry? Well, it is certainly because of her drop-dead gorgeous looks. This 4th generation diva of the Kapoor Family has already made a place in Bollywood. Not just that, but she has also given the industry some great hits. Hits like ‘Kabhi Khushi Kabhi Gham’ and ‘Chameli’ are still our favorites. But the glam diva is not always this glamorous. Yes, you heard it right? The beauty queen has got a beautiful face. It is not all due to makeup. Whaaat!!! We can hear the hearts crashing. But then, this beautiful actress doesn’t really need makeup to look beautiful all the time. These pictures mentioned below are proof enough to the fact that ‘Bebo’ rocks the industry. 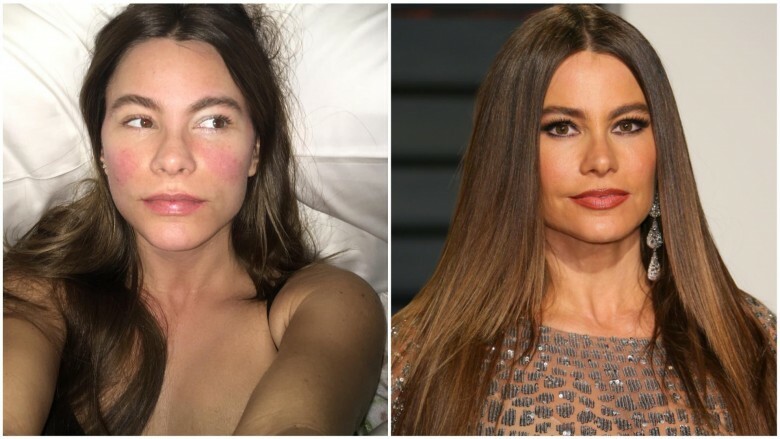 With or without makeup, it doesn’t matter. Check out some pics of the gorgeous actress, rocking the camera lens without makeup. 1. With Minimal Makeup: Kareena absolutely floors us with the amazing printed skirt. Paired with the orange top and a see-through vest, this look is an absolute beauty. That too, without any hint of makeup. Surely you can see how fresh she looks with such minimal touch of the products. Just a hint of kohl and she can kill with the looks. 2. 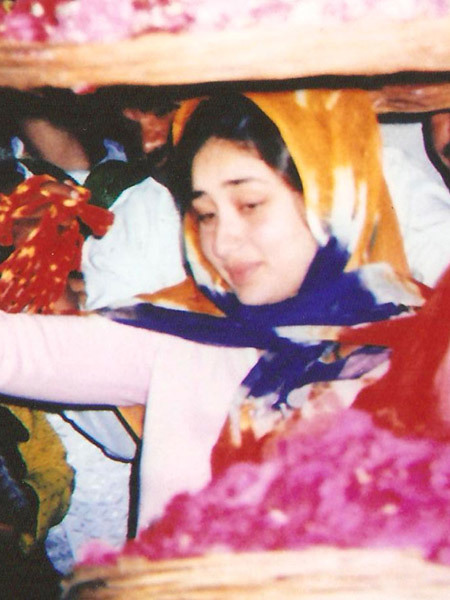 At The Holy Shrine: Kareena doesn’t disappoint this time as well. This picture, taken on the day of her visit to the famous Saint Khwaja Moinuddin Chisti’s shrine, highlights her looks beautifully. Look at her as she manages to make hearts stop with her one look. The actress went for offering a chadar to the shrine and got photographed. One thing we can say for sure is that we sure don’t mind that she did. 3. With the Husband: A good wife supports her husband’s career. Kareena Kapoor is not an exception either. Here, she was spotted at the premiere for husband Saif Ali Khan’s “Go Goa Gone’. This actress got her game on with simple and adorable pajamas. 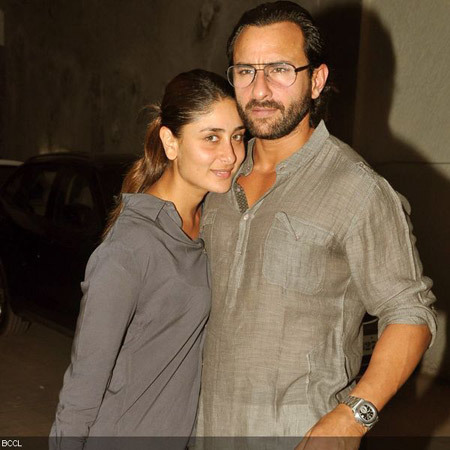 Just a t-shirt to go with that and you have got yourself the classic Kareena Kapoor without makeup. 4. The Plain Look: Can someone look as pretty as her. 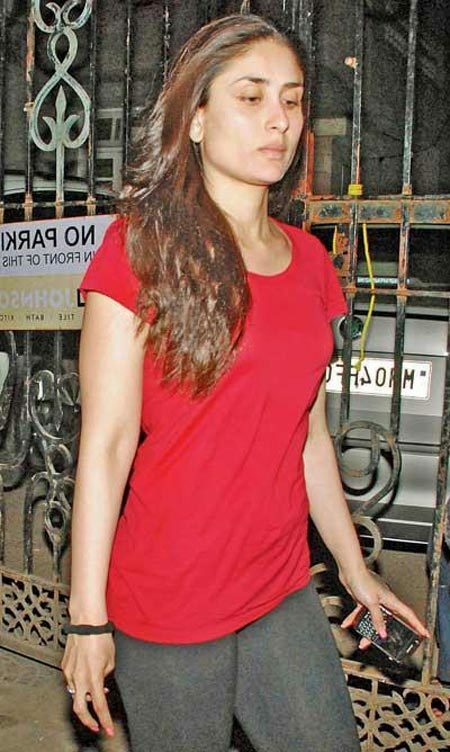 This is one of the best Kareena Kapoor no makeup images. On the house of Malaika Arora Khan, spot the actress donning the simplest outfit. A Leggings and a red t-shirt. What else do you need? The picture has a great significance as it was taken during a scandal with Saif. However, we cannot simply disagree that she kills with her looks in here. 5. Just Your Ordinary Girl: This is something that you wouldn’t expect to see. 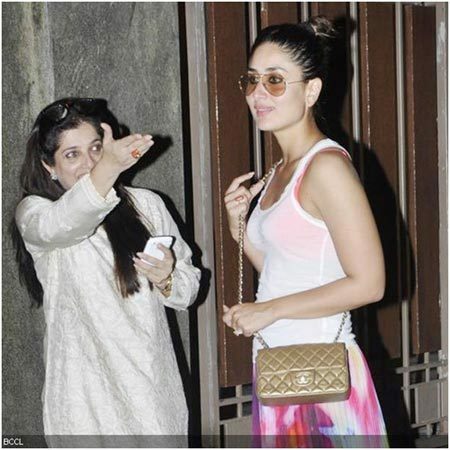 However, tired or pale she looks, ‘Bebo’ has still got the charm. Rocking the looks of an ordinary girl, Kareena manages to steal hearts once again. 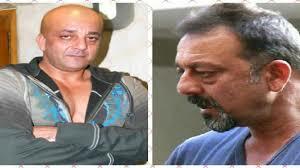 She is certainly a beautiful example of a Bollywood actress without makeup. Surely, we would love the glamorous look more, but this isn’t hard to look at, right? 6. Airport Picture: We love Kareena and her no makeup images, right? An example of that is this picture of her at the Airport in Mumbai. Spotted in a jegging and top, this picture is worth a look, for sure. Notice the hint of kohl in her eyes. Hearts swooning right? We know. These are some of the best and the latest pictures of our beloved ‘Bebo’. Some we like, some we don’t, some we absolutely love. One thing is for sure though. 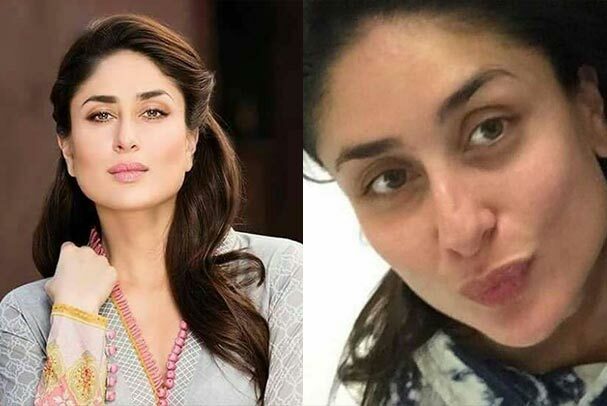 Kareena Kapoor without makeup? Super-likes!! !